This is the opposite of a head and shoulders pattern. 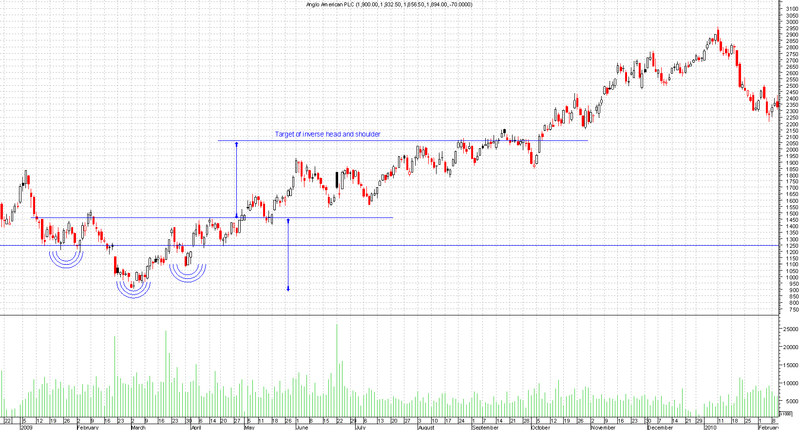 (See the article on head and shoulder pattern). The only true difference is the volume, bottoming patterns tends to have higher volume associated with them. This forms at the bottom of a trend. You have to have keen eyes to spot this developing as first signs are the higher highs, which will be forming the right shoulders which is right near the signal line(neck line).